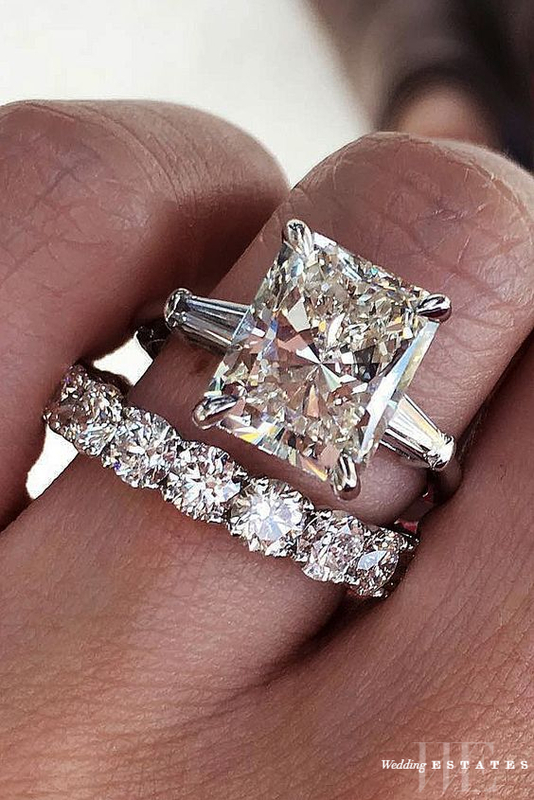 Having doubts about how to properly wear your wedding and engagement ring?Many brides frequently ask the question on the correct way or order of wearing an engagement and wedding ring. Some brides even ask for more clarity on the right finger on which an engagement or a wedding ring should be worn. So, are you also getting confused or just don’t know how? 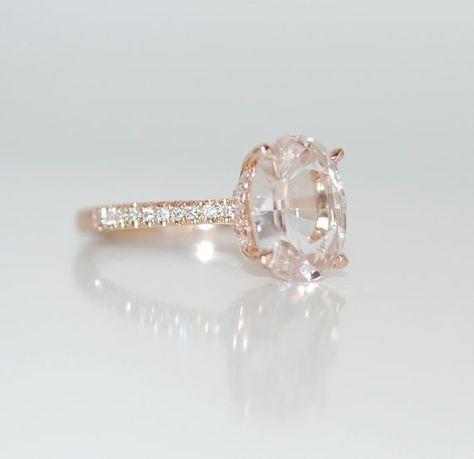 Your engagement ring is a first ring you will receive at the engagement party after the proposal and a sign that you are getting married soon. 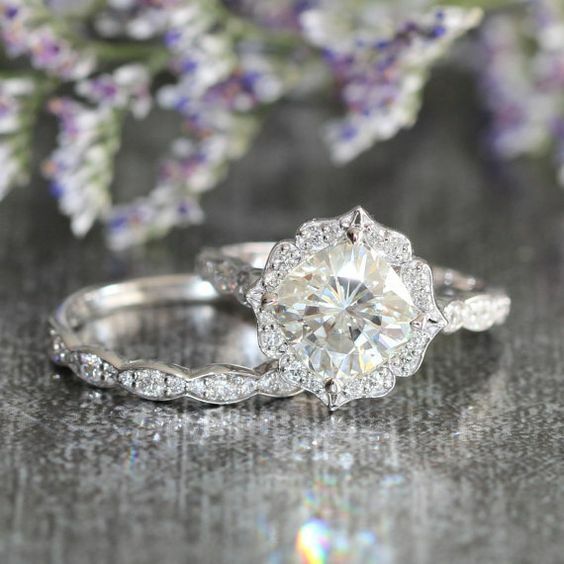 Often times, brides to be believe it should be worn on the middle finger of your left hand; while others believe it should be on the ring finger on the left hand. Next, your wedding ring, a symbol of your eternal love from your groom. Some believe that the wedding ring should be worn on the ring finger on the left hand. This is based on the myth that there is a vein from the ring finger that goes straight to the heart. This vein is believed to be the vein of love. With that being said, many people want to keep their wedding ring close to their heart. The right way or order in which you should wear your engagement and wedding ring is; A wedding ring first then an engagement ring placed on the ring finger on your left hand. The two set of rings can be on the same finger or just according to your beliefs or tradition based on the part of the world you are from. Since you might have your engagement ring before the wedding day, the engagement ring should be removed so that the wedding ring can be inserted while you are being married. Then after the joining, you will return the engagement ring and place it right on the wedding ring. Now you see the reason for the order. If you are comfortable with this arrangement then you can go with it. Otherwise, you should reverse the order based on your own conveniences, ring size, and finger size. You can also go with the arrangement with which the ring set is packed, the wedding ring will sit at the bottom then the engagement ring on top. Some people prefer to wear their engagement and wedding ring separately but I think you should just wear them together if you can. Or preferably, you can alternate in-between the rings. Often times, if you don’t feel comfortable wearing them together or wearing them on a different finger. 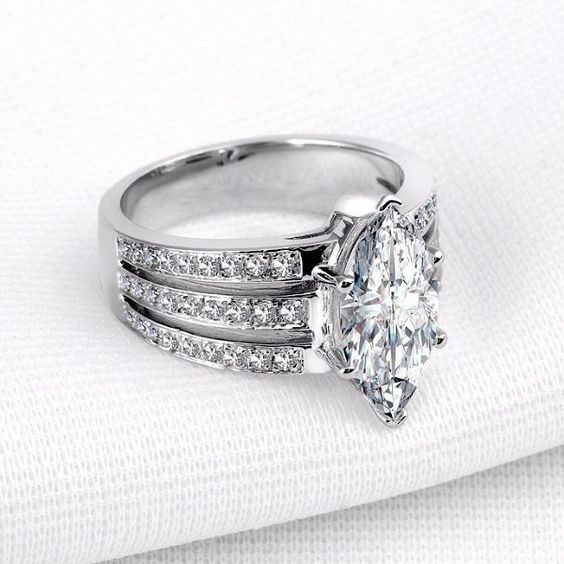 This bridal wedding ring set showcases a floral engagement ring with a cushion cut set in a solid white gold scalloped diamond band. You can wear only your wedding ring for a while and then wear an engagement ring too later. You might also wear one ring on a regular basis while you keep the other for special occasions. Whichever you choose to wear more, make sure that the other is kept in a safe place.